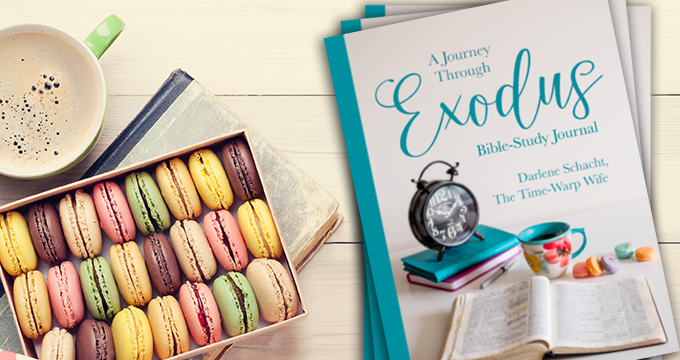 Welcome back to week three of our Exodus Bible study. If you haven’t done so already, feel free to jump in and join us. 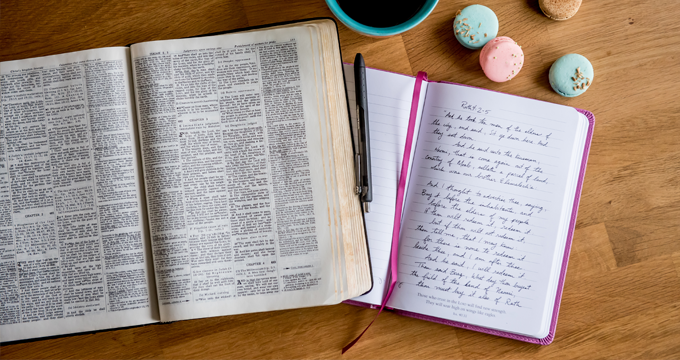 You’ll find everything you need to get started, including a copy of the Bible study guide on our intro post. Click here to go there now. What is the final plague we find in this chapter? 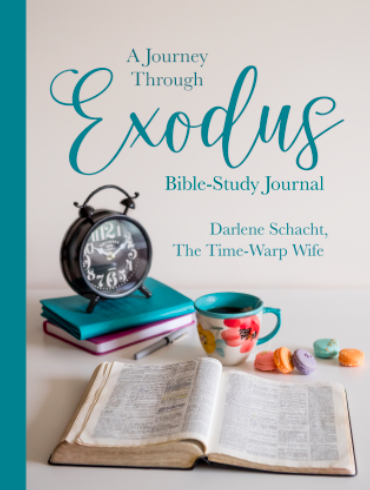 What verse did we read back in Exodus 4:22-23? Why was Moses great in the sight of these people? (v.3) What had changed their attitude? God gave Moses favor. He also gave the Israelites favor in the sight of the Egyptians. What were the Hebrews instructed to do before leaving Egypt? They were instructed to borrow jewels of silver and jewels of gold from the Egyptians. It’s interesting to note that the Egyptians were ready to part with their gold and silver. Perhaps it was due to their fear in the God of the Israelites. And yet, they did not fear God enough to apply the blood to their doorposts. This illustrates the heart of man who is often more willing to give than they are to obey. What were they instructed to do on the 10th day of the first month? To bring a lamb without spot into their home and take care of it until the 14th of the month. This gave the family an opportunity to both inspect the animal during that time and also to bond with it. Bonding with the animal was God’s way of teaching them the precious cost of sin. What were they instructed to do on the 14th day of the month at twilight? They were to slaughter the lambs at twighlight. How does this compare 1 Corinthians 5:7 and Matthew 27:45-50? Christ is our Passover lamb, who was sacrificed on this very same day. We are saved through faith in His blood. What were they instructed to do with the blood? Put it on the sides and tops of the doorframes of the houses where they eat the lambs. What were they instructed to do in the evening of that same day? Which false god was this final plague directed at? See verse 12. All of the gods of Egypt. What happened to those who put the blood on their doorposts? The angel of death passed over their home. They were protected by faith in the blood. How does this compare to Romans 3:24-26? God presented Christ to be our sacrificial lamb. We are saved through faith in His blood. The Passover and the Feast of Unleavened bread were a shadow of things to come. What do you think they each represent in a Christian life? The Passover is salvation through faith in the blood of Christ who died for our sins. The feast of unleavened bread represents walking in the Spirit as we leave a life of sin and death behind us. Yeast is the influence of sin, which if left unchecked has the potential to grow in our lives. Those who follow Christ choose to walk in obedience to their faith. How many people left Egypt and what did they take with them? About six hundred thousand men on foot, besides women and children left Egypt. We’re also told that many others left with them, which teaches us that even then was ALL who put their faith in the blood were saved. They plundered the Egyptians taking silver and gold with them. What was the significance of setting apart the firstborn? One reason is because the first-born meant that you were giving God your best. It was a way of saying, I’m giving God my first and my best and trusting that He will provide the rest. We see this faithfulness as early as Exodus chapter 4, where Cain gave “some of his fruit” as an offering to the Lord, but Abel brought, “fat portions from some of the firstborn of his flock.” The Lord was pleased with Abel’s offering, but not so with Cain’s. Therefore, the consecration of the firstborn would be a reminder of how God rescued the Israelites from slavery. What were they instructed to do for seven days beginning at Passover? Why was it important that the bread be unleavened? What did that represent? The leaven represents the influence that sin has on a person’s life. When we are born again, we leave our sinful past behind us to walk in newness of life. What does 1 Corinthians 5:8 say about celebrating this feast? That we should celebrate with sincerity and truth. To redeem is to “buy or pay off.” (dictionary.com) Because of the penalty of sin, we all have a debt that requires the payment of death. Not just any death, but an unblemished, perfect sacrifice that was only found in Jesus Christ. The lamb was symbolic of Jesus who redeemed us (paid our debt) from sin when He shed his blood and gave His life up on the cross. How is this a parallel to the Christian life? What were they instructed to say to their children? How did the pillar of cloud by day and the pillar of fire by night, help the children of Israel? The Lord lead them by day in a pillar of a cloud and at night He gave them light with pillar of fire so that they could walk day and night and know the way. Which way did God lead them? Why? What did Moses take with him when he left Egypt, and why? Also see Genesis 50:25. Why did God place the Israelites in such a precarious position? Why didn’t He let them take the easiest road out of Egypt? What they deemed as an impossible situation was an opportunity for God not only to bless them with the gift of deliverance, but to reveal His glory to the world. Are you in a difficult situation? If so, what comfort can you glean from this chapter? When God directs our steps it won’t necessarily make sense to us, in fact, it might be daunting, overwhelming, and and stressful at times. And so it’s important for us to remember that we’re right where God wants us to be. We must keep in mind that nothing is impossible to God. He excels man in wisdom and power. What is the connection between the exodus from Egypt and salvation in Christ? How is the deliverance of the people through the Red Sea a picture of our Salvation? The Red Sea is a symbol of baptism. It illustrates the death of one life as they leave Egypt behind them and the birth of a new one when they reach the other side. In the same way, when we give our lives to God, we die to ourselves so that we might live with Christ. What did Pharaoh take with him when he pursued the Israelites? Why did God continue to harden Pharaoh’s heart again and again? So that God would be honored and so that everyone would know that He is the one true God. What stood between the Egyptian army and the Israelites? The angel of God stood between the Egyptian army and the Israelites. How long did God hold back the water so they could cross on dry land? What did God do to slow down and ultimately destroy Pharaoh’s army? How many survived? God commanded the waters to return over the all of the Egyptian army, leaving no survivors, while He let the children of Israel walk safely upon dry land. What was the reaction of the children of Israel after God defeated Pharaoh and his army? Moses uses several adjectives in this chapter when describing God. What are some of them? What is the first trial the Israelites experienced after crossing the Red Sea? Moses brought the Israelites into the wilderness of Shur and they went three days and found no water. How does your knowledge of God’s care and faithfulness to the children of Israel encourage you in your life? Both that He is mighty to save, and that He provides for our needs. What is the promise that God gives to them? What are the four conditions that God attaches to the promise?